Tamil Feasts, Ceres, Stewart St & Roberts St, Brunswick East. 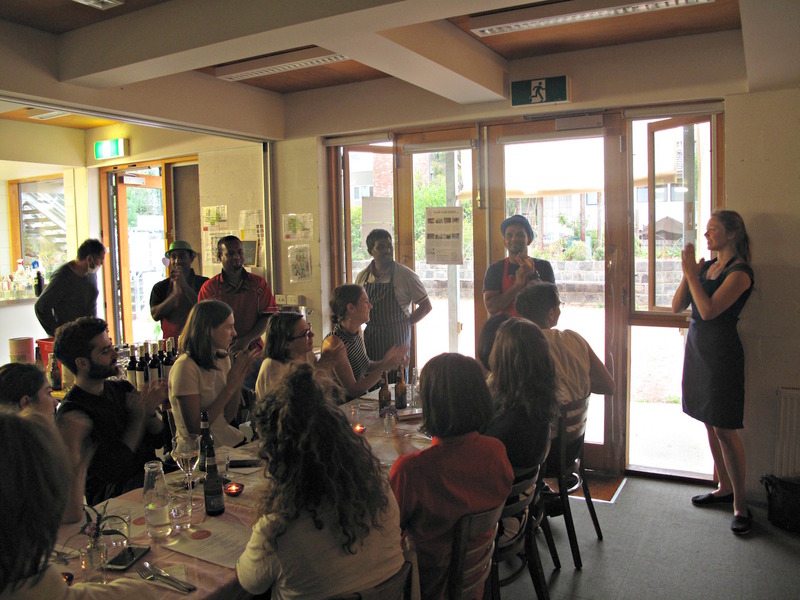 Tamil Feasts have been run at Ceres Community Environment Park in Brunswick for about eight months. 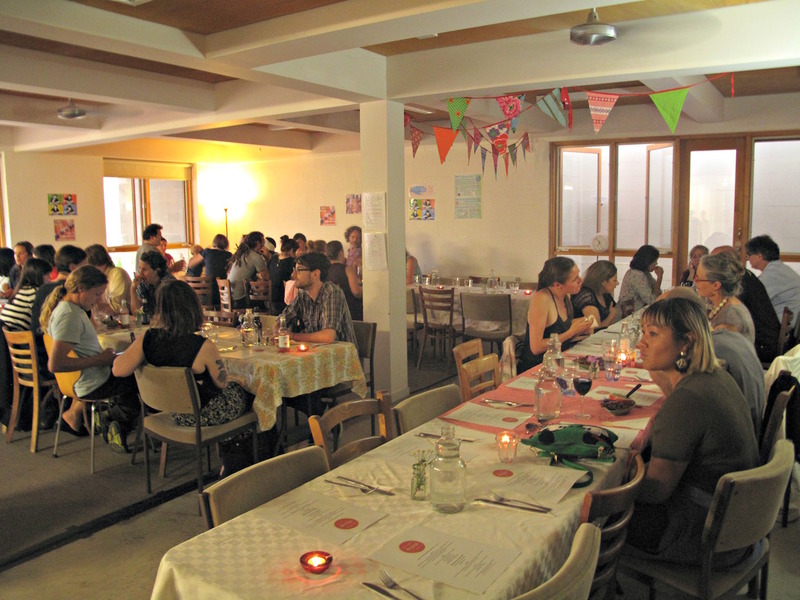 They are held on Monday (pescatarian friendly with vegan options) and Tuesday (vegan friendly) nights every week. I arrive early on the Monday night I attend, which gives me plenty of time to take in the set-up and meet several of fine folks involved. 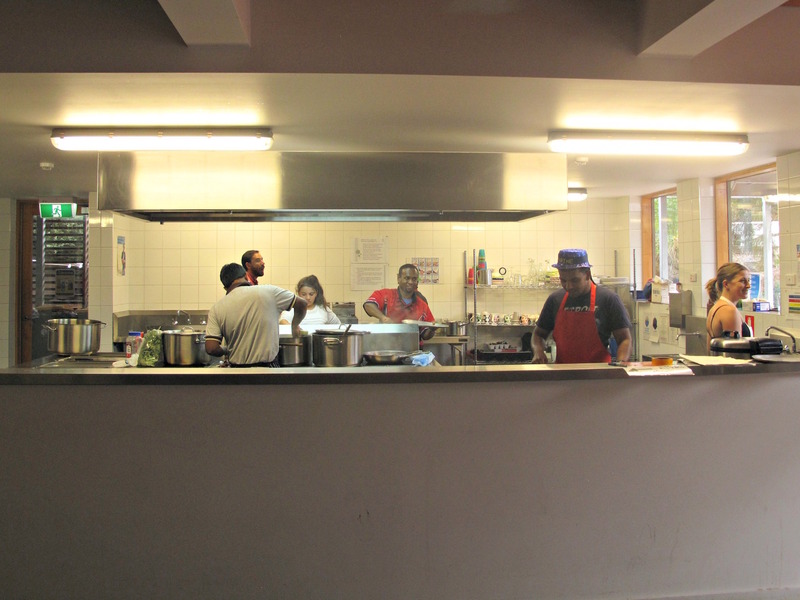 There volunteers working hard but the main heft of the cooking and its inspiration falls to a half-dozen or so Tamil asylum seekers. My understanding is that these wonderful cooks are still seeking refugee status but are free to live and work in the community. 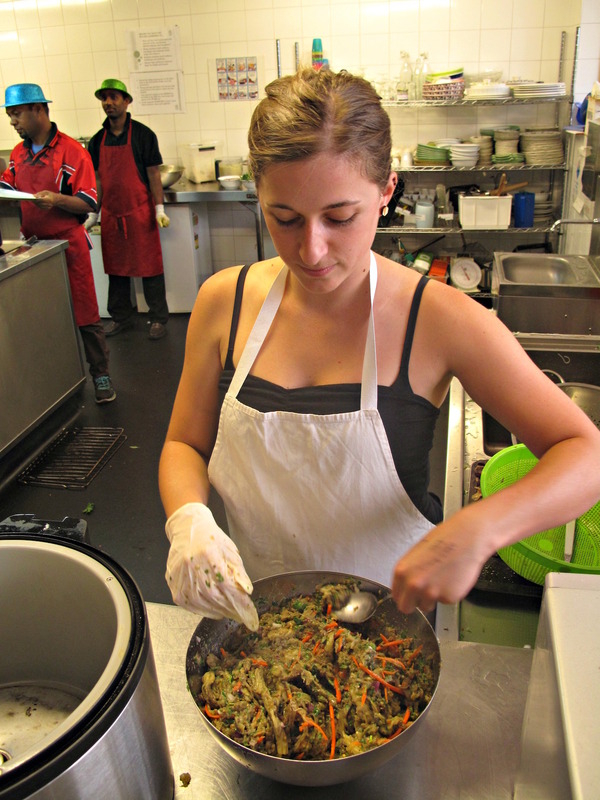 After years of being detention, being able to prepare food for hungry guests not only earns them income but a whole lot of satisfaction. 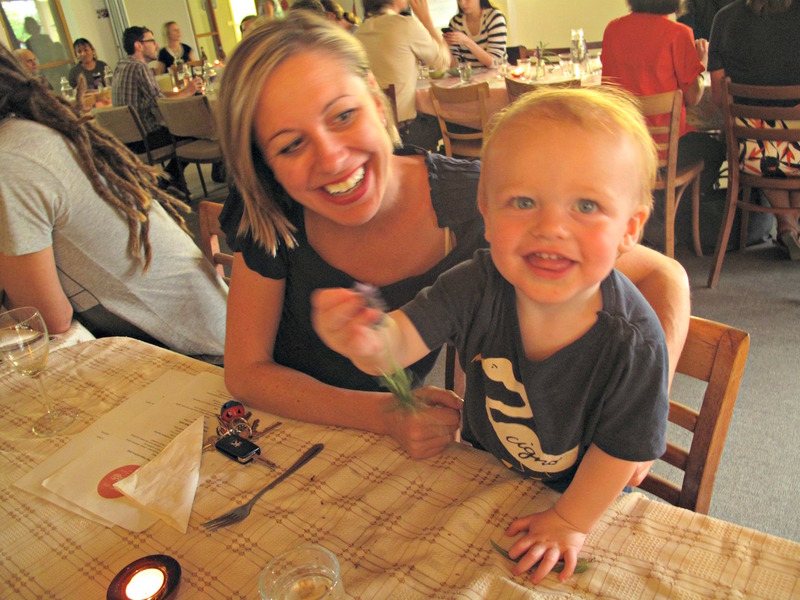 Though, as event co-ordinator Molly points out, two days hardly provides a livable pay packet. The tables for a sell-out crowd of 70 are beautifully set. And as more guests start arriving, it strikes me – this party is just like a Consider The Sauce Feast or fundraiser for West Welcome Wagon! 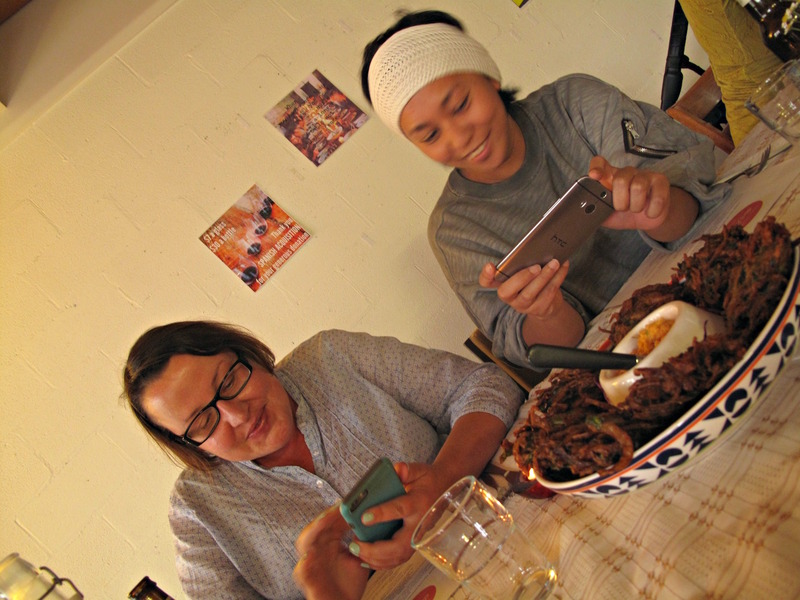 The people and the food (see menu below) are very familiar. 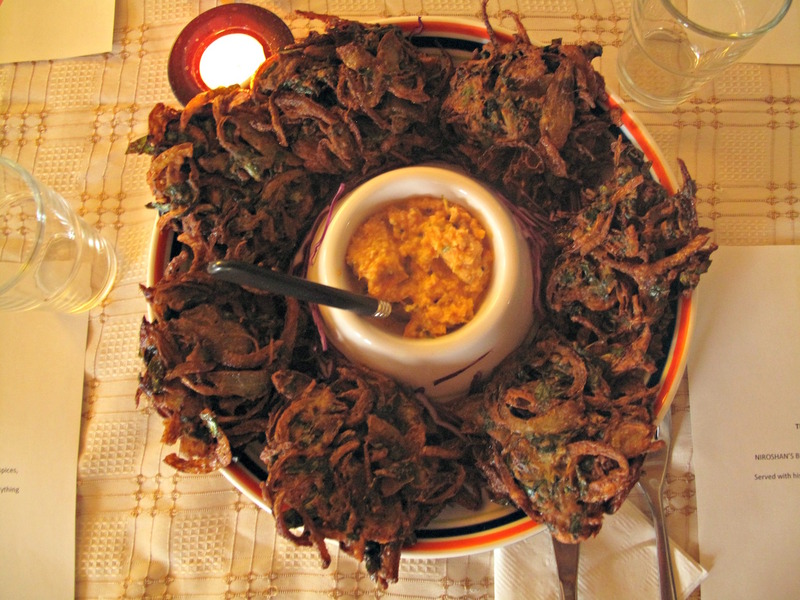 Our feast starts with bhajis of onion, silverbeet, curry leaves and spices served with a mild tomato-coconut sambal. These are magnificent – crisp on the outer and quite moist and juicy on the inner. 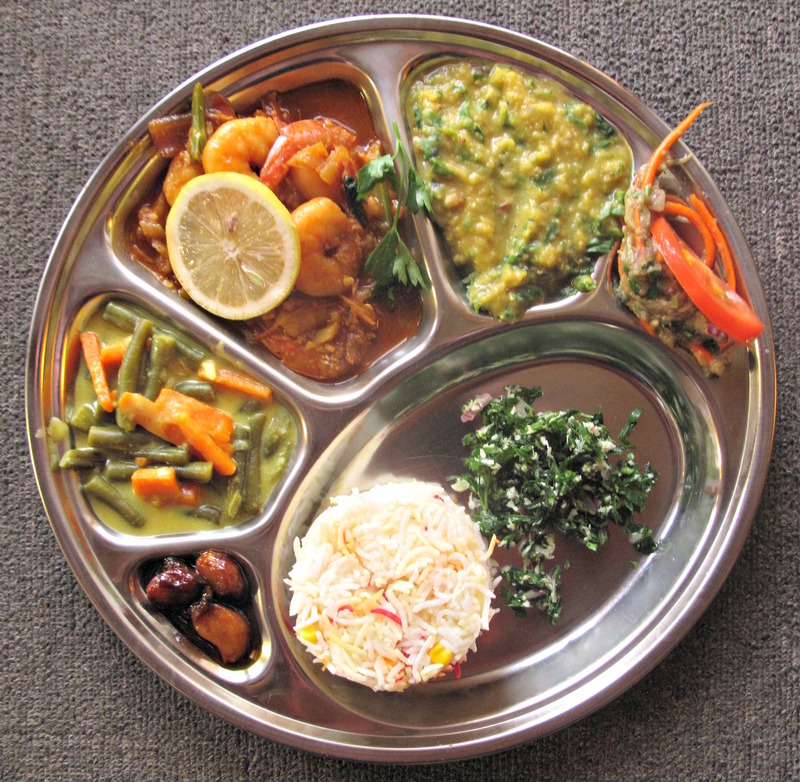 Then follows our waonderful main fare, served upon thali plates. A green bean and carrot curry. Unusually flavoured roast garlic with sugar. A salad of roast eggplant spiced with coriander, lemon, chilli and more. And another salad of parsely, coconut and chilli. It’s all very good and well worth every cent of the $30 we have paid. The evening has been an unalloyed pleasure and the event has been very well run. Many thanks to Goya and her friends for inviting me! 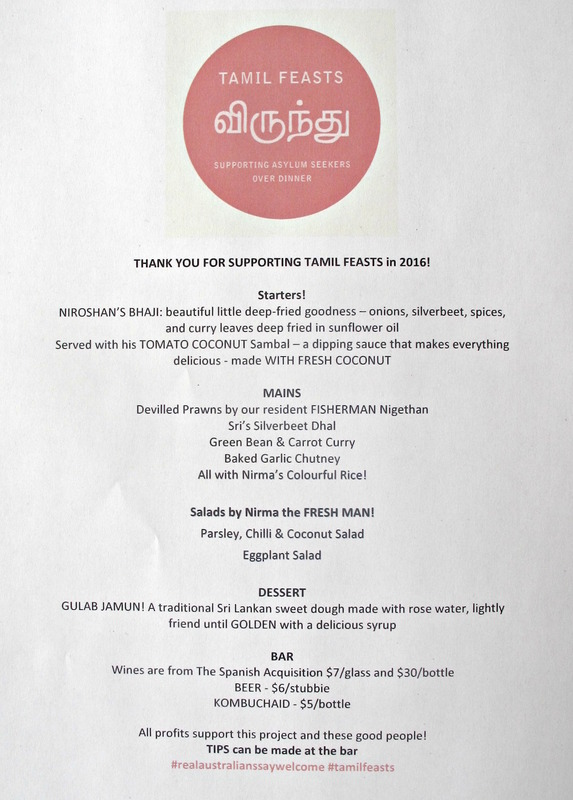 To make a booking, go Tamil Feasts at website or Facebook page. Will definitely be checking this out soon! Looks delicious and a great cause to boot! Nothing like a little political comment to spoil a (usually) good read. You might like to consider the fact that the war in Sri Lanka is over and there is no vendettas against the losing side i.e the Tamils. 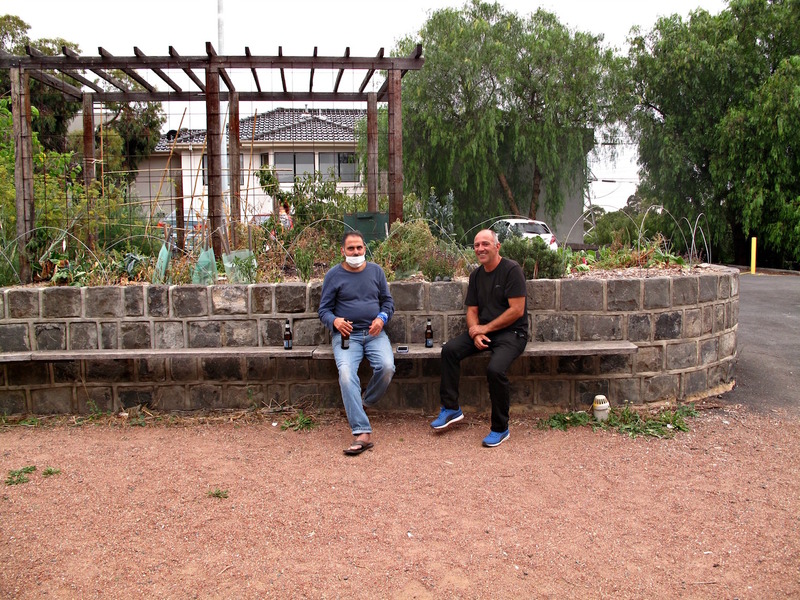 Your hosts probably know that there is a refugee determination process in Australia based on a rational. Objective assessment of refugee claims and not the irrational emotive garbage being spread by refugee advocate groups. I’ll let you have your say, Brian. But I think your concerns are irrelevant to the story. And isn’t a phrase like “irrational emotive garbage” just that? its all bout food,nice comment kenny! What a strange comment from Brian. Food looks good. 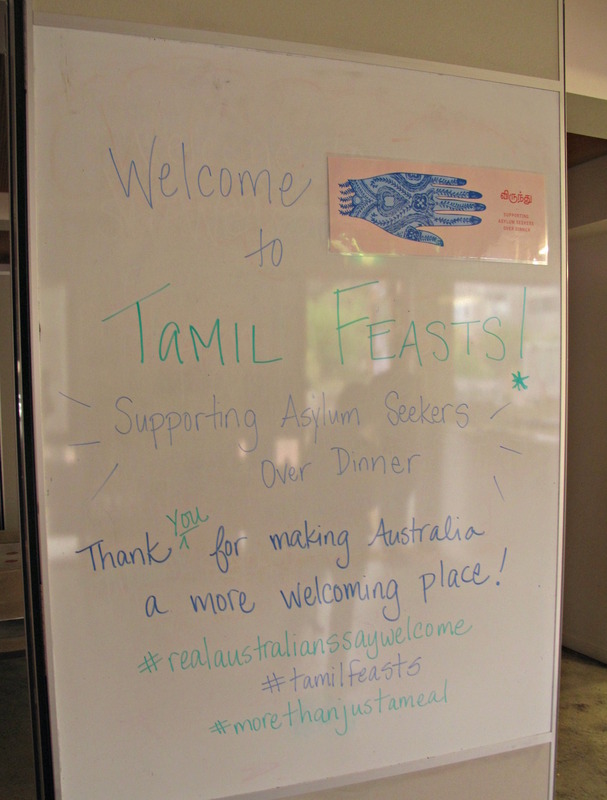 Tamil Feasts is an amazing and uplifting evening! I have been multiple times and have never left hungry. The guys in the kitchen are always in good spirits and take pride in their work to deliver a range of delicious and diverse dishes. Addressing Brian’s comments, Tamil Feasts is not politically motivated, in fact politics and immigration policy is not mentioned throughout the night unless you were to specifically ask one of the guys. 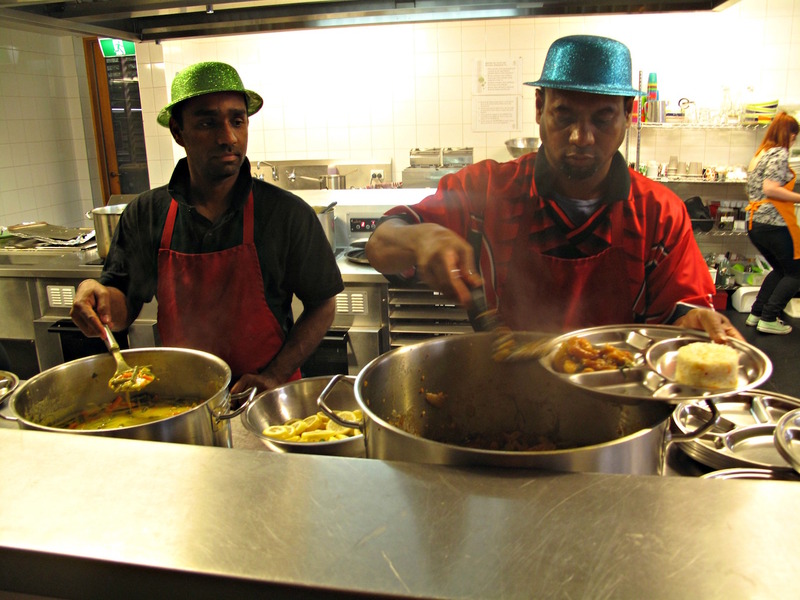 Each of the guys in the kitchen have learnt traditional dishes from their mums and family back in SriLanka, and are proud to share these dishes with anyone interested in trying something new. Tamil Feasts is about sharing food, culture and friendship. It is about integration and acceptance. What a wonderful night of great food and company! Those bhajis and dip were divine and the vegan curry, delicious. The garlic was also incredible.